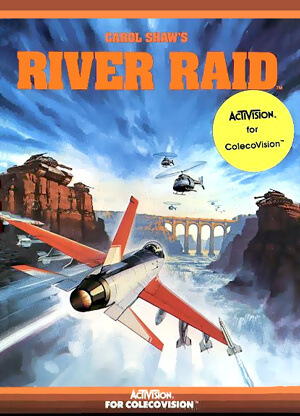 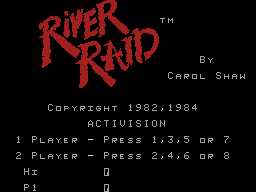 River Raid is a vertically scrolling action game. 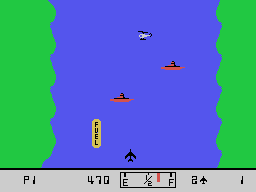 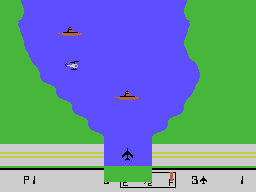 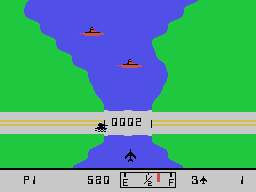 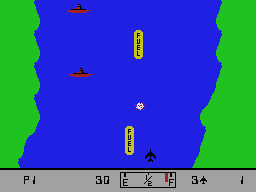 You fly a jet up a river in an attempt to destroy bridges which are vital to the enemy. 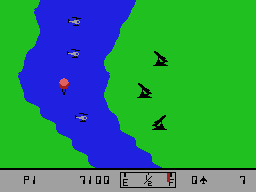 The river is heavily guarded, however, with balloons, ships, choppers, and enemy aircraft trying to stop you. 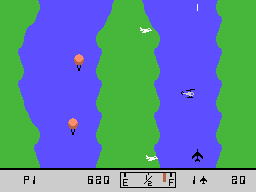 Along the way you will need to fly over fuel stations to refuel your jet and keep flying.